February is here and the sun is starting to peep out in between the storms! Valentine’s Day is just around the corner so we’ve put together suggestions for your Valentine this year! Guys seem to be getting more stylish by the minute. Maybe it’s to do with a certain UFC fighter and his love affair with three pieces suits…Mr Conor McGregor? Whatever the reason a good set of cufflinks is essential to any man’s wardrobe. 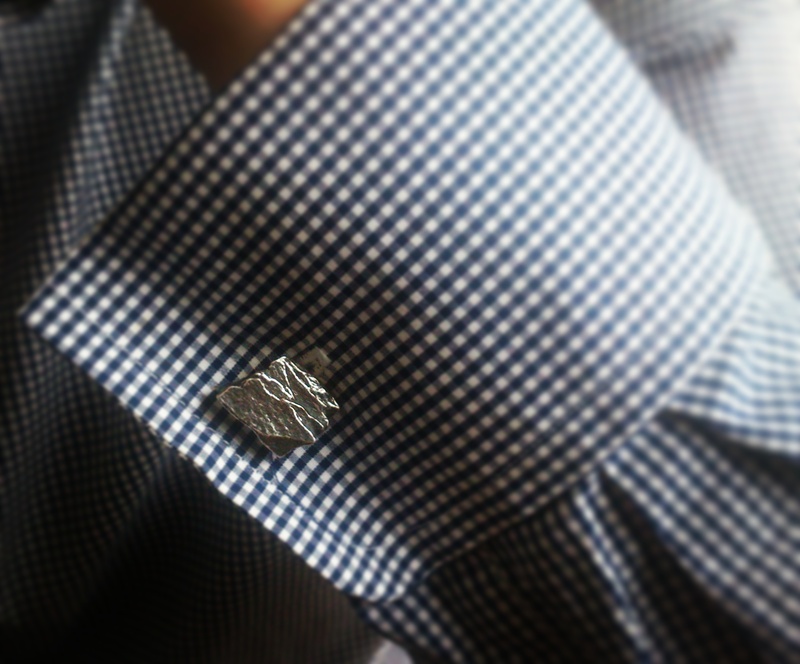 Our Skelligs Cufflinks are inspired by the rugged black slate rock of Skellig Michael. They are made from a piece of slate from the Valentia quarry, Co Kerry which was specially selected for its shape, size and graduating layers. This piece has been transformed into sterling silver through the casting process and crafted by hand into cufflinks. 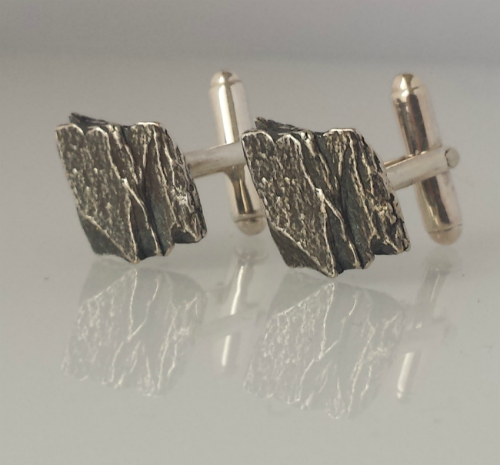 They are solid silver with a black finish to highlight the rocky layers. Stylish and rugged, these cufflinks make a great addition to any shirt. They were created to mark the appearance of Skelligs Michael in the 2015 Star Wars the Force Awakens Movie so whether he’s a surfer, sea lover or Star Wars fan they are sure to be a special and unique gift for him this year. 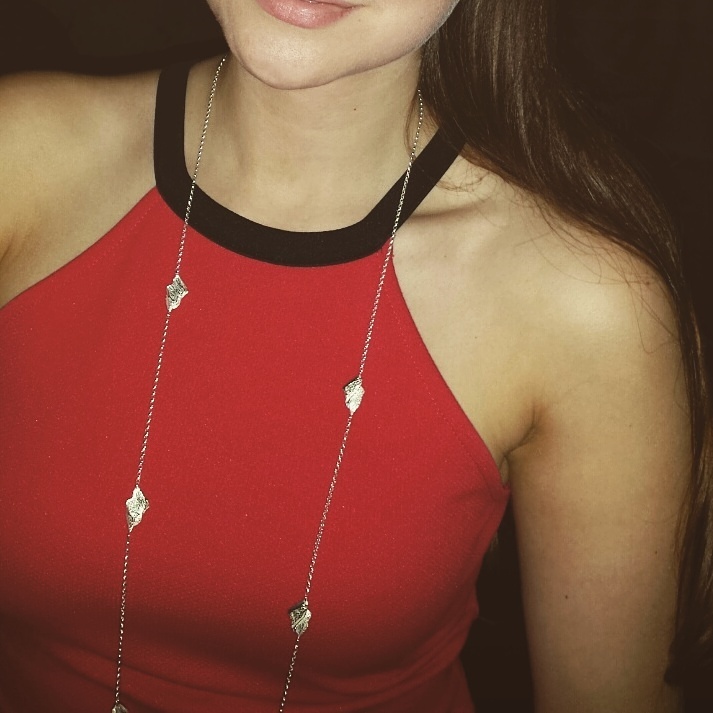 We believe jewellery should make the wearer feel great. Our long Skelligs necklace was made with this in mind. Created from a series of our solid silver slate pieces and worn long it is a classic piece with an interesting, glittering texture. It has a minimal style which is versatile enough to wear during the day or at night to dress up any outfit. By casting select pieces of slate rock in solid silver the organic texture, shape and layers of the rock from Ireland's South West coast have been captured and made into a necklace that can be treasure always. 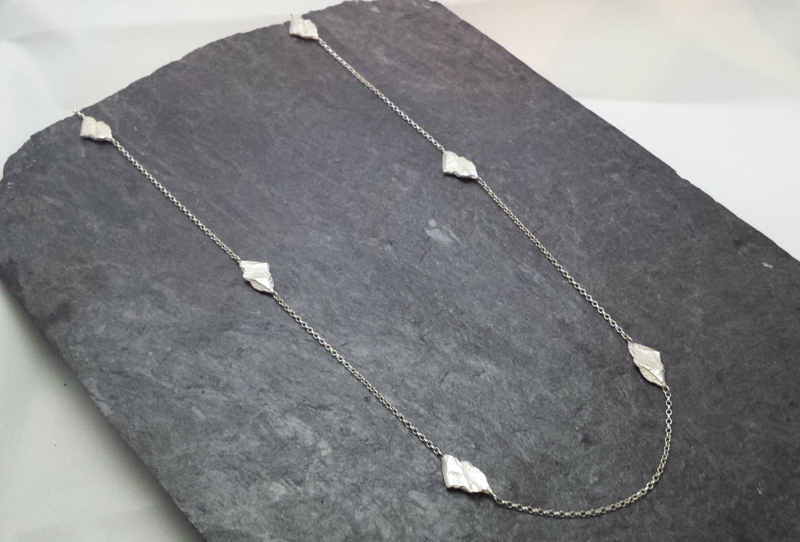 Our long Skellig necklace is elegant and beautiful to wear making it an ideal gift for her this Valentine’s Day. Hope you have a most gorgeous Valentine’s Day this year!